The future is hairless. Biologically, humans have progressively had fewer hairs over the ages. As proof, all you need to do is look at the prehistoric man. So, if nature means us to be hairless eventually, why shouldn’t we use our technologies to speed up the process? Enter home laser hair removal products. Or, shall we say Intense Pulsed Light (IPL) products? They’re virtually the same because the difference between the two is only technical. The real question is whether home laser hair removal products work or not. A beauty kit that offers hair removal, acne control, and skin rejuvenation all in one pack at an amazingly low price. An excellent, pocket-friendly device made specifically for people who travel abroad a lot, has a skin tone sensor. The best home hair removal device that you can get; this device has no real flaws except for its high cost. We’re here to resoundingly tell you that they do! What’s more, we’ll help you understand how they work and even reveal which products work best. Here’s a quick-navigation panel that you can use to jump around this comprehensive guide. How Do Laser or Intense Pulsed Light Technologies Differ? Are There Any Risks Associated with Laser Hair Removal? What to Consider While Choosing A Home Laser Removal Product? IPL or laser hair removal products have become more popular in recent years because they’re effective. They not only remove hair, but the removed hairs stay gone for a while too. Their only real drawback is that they can be painful. However, the pain is definitely comparable to what you feel while shaving or waxing. This pain is rooted in how this technology works. 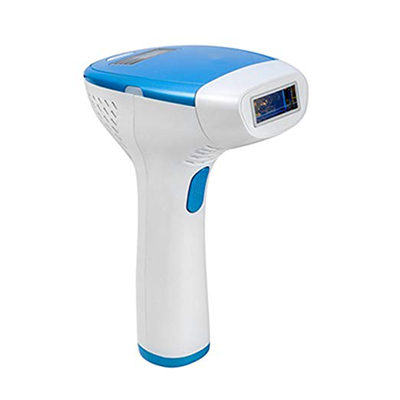 Home laser hair removal burns hairs and hair follicles. The devices emit light at a certain wavelength that is absorbed by the hairs and hair follicles, causing them to burn away. Whether laser or IPL, the generated pulses or flashes are specifically targeted at the pigment in the hair, i.e, melanin. This is the main reason why home laser removal is most successful with dark-haired, light-skinned people. The basic working principle behind both technologies is the same, i.e, flashed or pulsed light is targeted at the pigment in the hair. However, the source of the light in question is different. Laser hair removal products utilize a laser while IPL products use broad-spectrum visible light. There are now far more home IPL hair removal products in the market than home laser hair removal products. The reason for this is that broad-spectrum visible light is milder than lasers. It is safer to use in home products because it isn’t as harmful as lasers if used in the wrong way. IPL products also offer a larger treatment window, i.e, the area hit by a single pulse in comparison to laser products. On the flipside, lasers have more penetrative power. This means that you’ll have to wait longer for IPL products to deliver results when compared to laser products. You should also note that IPL technology turns out to be much cheaper than laser technology. Why should you choose home laser hair removal over professional laser hair removal? The answer is the cost! A single session with a professional laser hair removal expert will cost you around $300. Generally, multiple sessions (think anything between 6 to 10) are required to be completely free of hairs. This takes the total cost to close to $3000. In addition to this, you’ll have to deal with associated costs as well, which can easily double the total. In comparison, the most advanced home laser or IPL hair removal products cost very little. The most expensive device in our guide costs close to $500, which is a fraction of the cost you’ll pay if you choose to go with professional laser hair removal. Are There Any Risks Associated with Home Laser Hair Removal? You need to shave before you can use home laser removal products. Between the prepping of the skin and the actual time you spend using the device, the biggest drawback of home laser hair removal is that it is a time-consuming activity. However, that is only in the medium term, i.e, six months to one year. Once the treatment takes hold, hairs go away and stay away for a long time. This means that after a few months or even one year, the number of home laser hair removal sessions you’ll need would reduce drastically. The primary risk associated with home laser hair removal pertains to the wrong usage. This technology isn’t meant for dark-skinned and light-haired people. Therefore, if your skin tone is darker or your hair light colored and you choose to use it anyway, you’ll end up burning yourself. Similarly, and for the same reasons, these devices aren’t meant to be used over tattoos, moles, and freckles. When people ignore these warnings and use these devices anyway, they end up burning themselves. Even if the skin tone and hair color prerequisites apply to you, you should be prepared to feel like you’ve been sunburned. This is completely natural since your skin has received so much heat from the device. You can treat your skin the same way you would deal with sunburn too, i.e, keep it cool and moisturized and stay indoors. A myth related to home laser hair removal is that it can cause cancer, but that is completely untrue. There is no risk of cancer whatsoever and the modern-day devices even incorporate ultraviolet filters. Skin Tone: A 2001 study found that laser hair removal works best on people with untanned and fair skin. You will have to find yourself on the Fitzpatrick Scale before deciding on a particular device. Your skin tone will define whether a device will work on you as well as how effective it will be for you. Hair Color: Just like skin tone, your hair color matters too. Laser hair removal works best in contrast situations, i.e, fair skin with darker hair. As it is, it is unlikely that these products will work on people with red, light blonde, gray, or white hair. Cost: Cost needs to be viewed in two ways – initial and running. The initial cost of the device will inform your decision anyway, but you’ll need to consciously pay attention to running costs. These devices come with a certain number of flashes. When those flashes run out, you either use an expensive paperweight or get replacement cartridges. This product is our top pick for this whole guide simply because it is all benefits and no flaws. 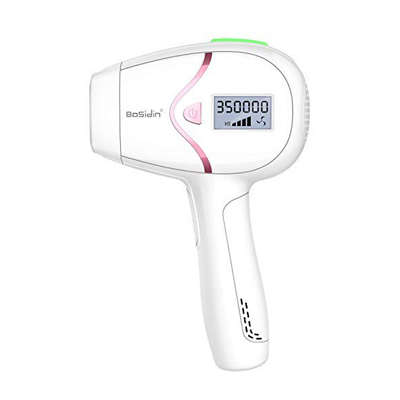 In fact, it is the pinnacle of home laser hair removal market in our opinion and you’ll be hard-pressed to find anything matching its capabilities. This device comes with four different head attachments designed specifically for the four body parts that need hair removal the most – face, body, underarms, and the bikini region. Each head is designed to fit the contours of the body part it is intended for. For instance, the underarm and bikini area attachments are concave while the body attachment is convex. The face attachment is flat. The flash window also varies from one attachment to another. The body attachment’s flash window is the largest while the face attachment’s flash window is the smallest. Each of the heads also has a corresponding program in the system for maximum efficiency. The device even has a skin tone sensor (SmartSkin) that will take away the need for you to struggle with intensity selection. However, you will still have the option to manually pick from five different intensity levels, if you don’t wish to use the built-in sensor. Further, you’ll be able to choose from two flash modes. One is for larger body parts and the other is for smaller body parts. The first one is called “slide and flash” and will allow you to slide the device over a larger body part like leg and arms. The second one is dubbed “stamp and flash” and can be used when you need more intensity in a smaller region like your underarms. The device has a good flash capacity as well. With a total capacity of 250,000 flashes, you can rely on it for your entire life and will never need replacement cartridges. Even then, the company has integrated a safety system to prevent flashes from being wasted into thin air. This is also a cordless device, but the clincher is that you can choose to use it plugged in as well. Philips will also send a travel adapter with this device for your chosen country. 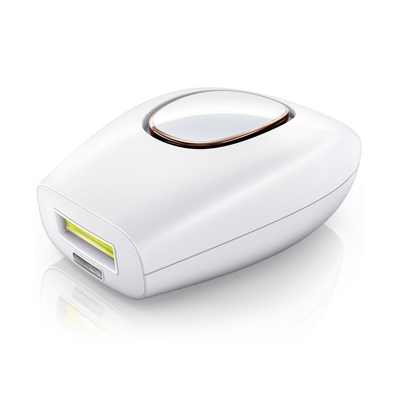 Moreover, it is a dual voltage device, so you’ll be able to use it anywhere in the world. You won’t have trouble taking it on your travels either because it is such a light device. The developers at Philips did, indeed, think of everything when designing this device. Its only real flaw is its cost. It is quite expensive, but we feel it is fair considering the quality of this product. 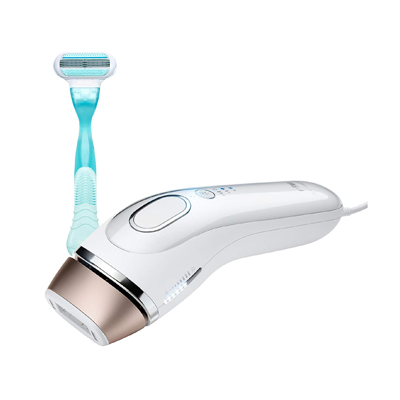 Who’s it for: If money is not a concern and you want the absolute best in home hair removal, get this product from Philips. Time is the biggest challenge of using home hair removal products. Braun has tried to nullify that challenge with its Gillette Venus Silk-Expert IPL 5001. This product is one of the fastest in the industry right now. Speed in these devices depends on how fast the light pulses are generated. This device delivers those pulses incredibly fast. As a result, you can treat your entire leg or arm with this device in barely eight minutes. This is also a very adaptable and versatile product. For example, this device not only recognizes that different people have different skin tones but also that a person can have different skin tones on different parts of his body. This is why it has variable intensity settings that change automatically. You’ll have to choose from two basic modes and then the device takes over and modifies intensity levels according to its internal detection system. It scans and detects skin tone 80 times in a second! This device’s flash capacity is better than most of its competitors too. With a total capacity of 300,000 flashes, you’ll be set for life with this device and will never need to go looking for replacement cartridges. Further, this device comes with a Gillette Venus, since shaving before hair removal treatments is mandatory. You’ll also get access to the company’s app, which is designed to make treatments easier. The app offers a convenient calendar that makes tracking your schedule and progress very convenient. Even with all these components and benefits, this device is on the lighter side, when compared to others in the same market segment. It weighs only 2.1 pounds. It is also backed by a one-year warranty from the company. This is an IPL device. This means that it has a large treatment window. 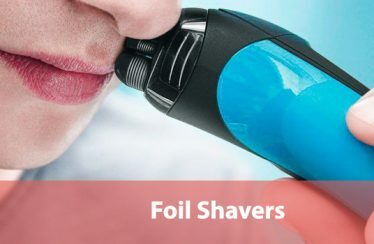 While this will make it easy to use in some parts of the body, it will also make things difficult when ankles, upper lip, and bikini regions are concerned. Owing to all its features, this is an expensive device. The expense can seem a bit much since it doesn’t have a 100% success rate. Who’s it for: If you don’t want to fuss about with various intensity settings but still want an advanced hair removal system, get this product from Braun. 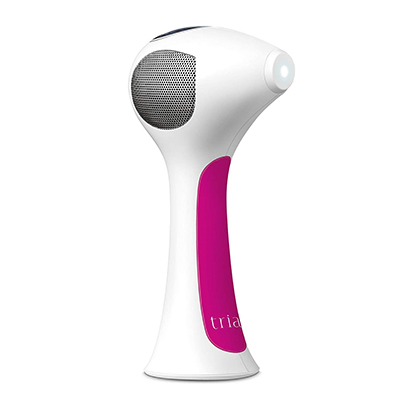 Tria Beauty Hair Removal Laser 4X is the only reliable laser hair removal device available in the market. In fact, it is the first and effectively only FDA approved laser hair removal device that you can get right now. 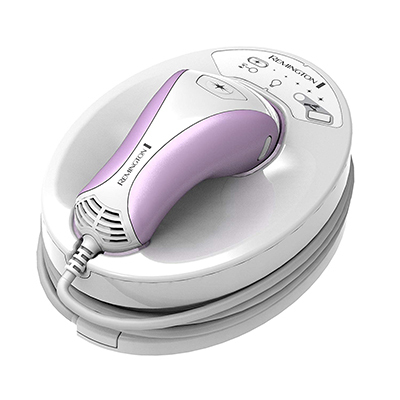 Based on traditional technology, this device uses a laser diode to produce the light needed to burn the hairs away. This is the same technology that professional hair removal clinics use and implies two things. The first is that it has the potential to delivers results very fast and the second is that you need the right technique to use it properly or you’ll burn yourself. 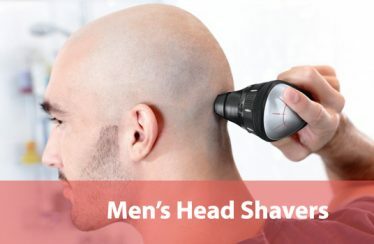 At the same time, while laser technology ensures fast results, the design of the head takes away from that speed. The small head will force you to spend a lot of time in every session, especially while doing larger areas like legs. It’s a trade off. You spend a lot of time per session but require fewer sessions to get the results. This device is available in three variants. Two are colors, i.e, fuchsia and green, while the third one is a set that includes a calming gel from Tria. This device runs on a lithium-ion battery, so you get more range of motion. You can’t use it while it is plugged-in though. It is ergonomically designed too. Its handle is easy to hold and manage, owing to its soft rubberized grip. It also has a very nice interactive display with a lot of information on it. Another useful feature is that it locks down when idle. The three-minute automatic shut off is very helpful for forgetful people. This device’s flash capacity, unfortunately, isn’t comparable to what its competitors offer. At the same time, 90,000 flashes should be good enough for most people to achieve their hair removal objectives. The main problem with laser-based hair removal is the pain. It is considerably more painful than IPL and this is true with this device too. Laser diodes are also heavier, making this device quite heavy. This can make it difficult to manage them for any extended period of time. Surprisingly, this is also an expensive device. However, if you compare it to getting professional laser hair removal, you’ll find the investment to be negligible. Who’s it for: If you want a traditional laser hair removal product, this is the one you should get. 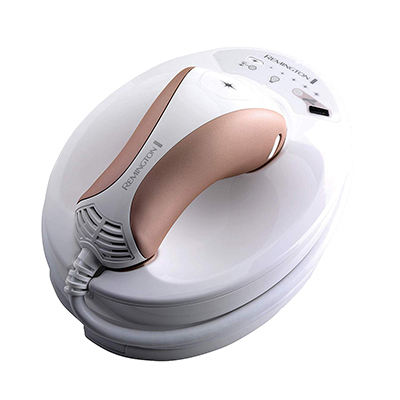 Remington was one of the first companies to make home IPL hair removal products possible. This product isn’t their oldest, though. The iLIGHT Ultra Face & Body is one of the more advanced models from Remington. It is based on a quartz lamp which is much safer and milder than the usual bulbs in most products. This is also one of those few IPL hair removal systems that are cleared by the FDA to be used on the face and this is largely because of the quartz lamp. Another feature that sets this product apart from it’s competitors is it comes with two different treatment caps. You’re supposed to use one for the face and one for the body. 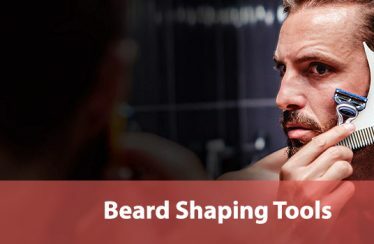 This ensures that the shape of the heads is most suitable for the areas they’re meant for will appeal to those with hygiene foremost on their minds. The device has a skin contact sensor as well. The sensor ensures that flashes aren’t wasted since there are precious few, to begin with in the first place. In fact, this is one of this device’s major flaws. It has a low capacity of only 65,000 flashes. However, it is easy to keep track of flashes since the device can be paired with Remington’s app. Further, when you’ve run its capacity down to 10%, you get a warning to replace the cartridge. You would want to be prudent with those flashes since the replacement cartridges can be quite expensive too. On the flipside, this device is quite fast. When you put the body cap on, it will flash every three seconds and with the face cap, those flashes will come every four seconds. While the flashing speed is impressive, it becomes even more helpful because this device has a large flash window. This means that you can cover large parts of your body very quickly. The larger treatment window is also welcome because this is a heavy device that you can handle only for a certain amount of time before tiring. However, the 50% larger flash window has a flaw as well. You can’t use this device easily on smaller regions such as your ankles, the bikini region, or even under the nose. Remington backs its device with a two-year warranty. This is good because the device is quite expensive and if you get a lemon, you can get redress. We should also put in a word of caution here. While quite successful, this device doesn’t have a 100% success rate. Pay attention to the color of your hair and peg yourself on the Fitzpatrick Scale before you invest in this product. Who’s it for: If you want a large flash window with speedy flashes, then get this device from Remington. This is the second product from Remington’s iLIGHT series that we’re including in our guide. This one is their offering in the value price segment. While their premium offering reviewed earlier in this guide was based on a quartz lamp, this one isn’t. It has a simple light source, but it does offer a large coverage area. The large coverage area will make it easier for you to treat larger body parts such as limbs and torsos. However, it will also make reaching smaller body parts difficult. You’ll have to struggle to get to bikini curves. This device comes with two built-in sensors. There is a skin tone sensor through which the device will be able to sense the color of your skin and a skin contact sensor which will keep flashes from getting wasted by mistake. This is a corded device so there will be no hassles of waiting for it to achieve a full charge. However, the tradeoff is that you’ll have to accept a reduced movement range. Remington offers a 90-day money back guarantee on this device. This is nice since it will allow you to try this device out without any worry. Unfortunately, there’s a lot more wrong with this device than right. While it delivers results, it is rated only to be used on the body. Even without the formal rating, though, a lot of buyers have used it on their faces successfully. This limitation is more of a technical, approval related problem than a practical issue. A practical problem is this device’s lack of portability. You can’t really travel with it. It’s just too big and bulky. It is also quite heavy, coming in at 4.9 pounds. It’s biggest flaw, however, it’s low flash capacity. This is a cartridge device with each cartridge possessing mere 6,000 flashes. You’re expected to consume and replace cartridges. This means extra expenditure. The worst bit is that some users say the cartridges contain fewer flashes than advertised. Effectively, you may be changing the cartridges sooner than expected, which means even more expenditure. You’ll also have to set aside a good chunk of your time to use this device. It is quite a time consuming device because the pulses aren’t generated fast enough. Who’s it for: If you’re looking for a tried and tested device that has been around awhile at a decent price range, get this one from Remington. 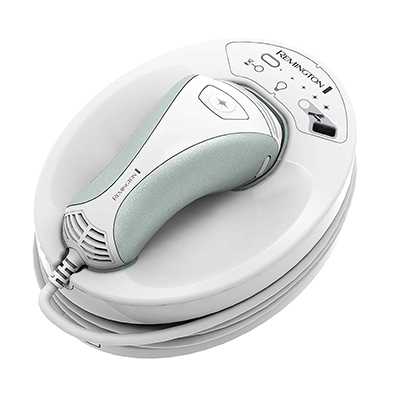 The Lumea Comfort IPL is one of the most compact and lightweight hair removal systems in the market right now. This makes it perfect for people who travel a lot, especially since it is also made to work in all power systems of the world, i.e, the American 110V and the European 220V. This device isn’t just travel-friendly, but also sleek and beautiful. With its clean, crisp lines and curving body, this device looks like something from the future. It is also an effective hair removal system. The company even goes as far as to claim that it “prevents hair regrowth” after “1 treatment”. While we’re going to treat that claim with disbelief, we can’t deny that it does produce results, albeit after a while. It also has a very good flash capacity, boasting of 200,000 pulses. This total capacity is enough for you not to need replacement cartridges for years at an end. The problem here is that people who have personal experience with this device say that its on-ground, effective flash capacity is closer to 100,000 than 200,000. In our opinion, while 200,000 is impressive, 100,000 wouldn’t be all that bad either. This device also comes with two distinct flash modes. The “slide and flash” mode is ideal for legs, arms, and other larger body parts because it allows you to keep the device moving without compromising on effectiveness. The “stamp mode” is great for smaller body parts such as the bikini region and the face, where you want to keep the effects localized instead of spread across. There is also a skin tone sensor that can recognize various shades of skin color and adjust the system accordingly. Further, this device also features “cool to the touch” pulses that reduce the risk of scalding. Philips backs its device with a six-month money back satisfaction guarantee. This is the longest guarantee we’ve come across in this industry and shows just how much faith the manufacturer has in its product. Even though this is a good product, it isn’t without flaws. For instance, the likelihood of you needing to invoke its guarantee is high because this device’s durability is a little suspect. A few of the users say that it broke down on them far too soon. Another area where this product fails is its design. While the design makes the device look futuristic, it places the one button front and center. Therefore, while gripping and managing the device, you’ll end up pressing the button by mistake. The effectiveness of this device depends on the skin tone and hair color of individuals along with how well they use it. This is probably why it doesn’t work for everyone as expected. 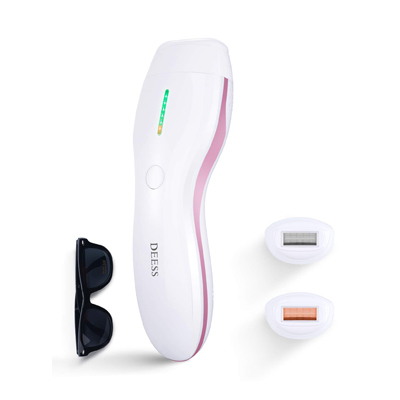 Who’s it for: If you go abroad a lot and need a travel-friendly home laser hair removal product, then get this one from Philips. Remington’s iLIGHT series comprises numerous products falling in various price brackets. None of them are exceptional, but all of them are good enough to be included in any list of top 10 home hair removal product list. This is their second offering in the $200 to $300 price bracket. The Remington iLIGHT Pro Plus is an upgrade on the Remington iLIGHT Pro for one reason – the source of its light. It uses quartz light instead of the usual bulbs, making this device much more convenient and safer to use. More importantly, the quartz bulb gives this device a greater flash capacity. This device’s flash capacity is five times when compared to the earlier model’s 6,000, i.e, 30,000. Unfortunately, it remains a fairly slow device. It doesn’t deliver pulses very fast, which means that you’ll have to devote a lot of time to your treatments. Like the other model, this one also has a large area coverage. This is good and bad. It is good because it will save you time on larger regions and bad because it will make it difficult for you to treat smaller regions like the underarms and the bikini area. The device incorporates a skin tone sensor and a skin contact sensor as well. The former allows it to detect your skin tone while the latter protects your flashes from being wasted when the device is not in contact with skin. This device’s biggest flaw is its lack of portability. It is a corded device that is on the bigger and heavier side. If you’re looking for a hair removal device that you can travel with, this isn’t the model for you. Another great flaw is that you’ll only be able to use this device on the body. While you can always use it on the face, it’ll be an independent decision because this device hasn’t been cleared for it by the FDA. Who’s it for: If you’re loyal to Remington, then this is one of their best home laser hair removal products. When you think of a budget product, you automatically think of compromises. The prevailing wisdom is that the product is affordable because it doesn’t have all the latest features. DEESS Hair Removal Beauty Kit Series 3 Plus is the exact opposite. It is affordable and offers all the features that you’ll ever need from your home laser hair removal system. In fact, it offers more than all its competitors, even the ones in the higher price brackets. For example, this beauty kit offers more than just hair removal. It comes with three attachments, of which only one is for hair removal. The other two are for acne control and skin rejuvenation. Each of them is useful and very helpful on its own. Depending on your specific requirements, you can even choose from three different variants of this product. There is the variant that we’re reviewing here, i.e, all three functions, one variant that only has heads for hair removal and skin rejuvenation, and one variant that only has the hair removal head. To be able to offer all three functions successfully, this device needs to have sufficient flash capacity. It doesn’t disappoint. It has the highest flash capacity in the industry and can deliver 350,000 flashes in its lifetime. The device protects flashes for you too with the help of its skin touch sensor. These should be enough for your entire lifetime. In fact, you may be able to treat someone else in your family with the same device without ever worrying about running out of flashes. This home laser hair removal system is quick as well. It delivers 20 to 25 flashes per minutes. This should be enough for you to be able to treat one leg in about eight minutes. The only problem is that if you change settings, this device will take a bit of time to make the changes. On its own, this isn’t a problem, but when you combine it with another flaw of this device, it becomes one. This device has a very simple design. It has a single button for all functions. This button is the problem. It isn’t very intuitive and you can end up changing settings by mistake in the middle of ongoing treatment. With the time it takes when you change settings and how often you’ll end up changing the settings by mistake, you’ll waste a lot of time with this device. It takes away from this device’s impressive flash rate. The only saving grace here is that it has a large window which can speed things up a little. However, the large window creates problems of its own when you try to use this device on smaller regions like the upper lip or bikini area. At the same time, you’ll find it easy to grip and manage this device around your body because it is quite light. The company provides protective glasses in the same pack. We find this impressive considering the cost of this device. On top of this, there’s even a two-year guarantee. Who’s it for: If you want to save money and get a home hair removal system with all the modern features, get this one. Even though they turn out to be cheaper than professional hair removal services, home laser hair removal products still require quite an investment. BoSidin Facial & Body Permanent Hair Removal system is the exception. This device is incredibly affordable. Despite its low price, though, it still possesses some great features. Two that stand out are its flash capacity and flash rate. It has the highest flash capacity in the industry with 350,000 flashes. The flashes themselves are produced by a quartz bulb as opposed to traditional bulbs. Further, it is rated to produce pulses every 1.5 seconds. This would’ve been very impressive if it was true on the ground. Users of this device say that it’s flash rate is significantly lower than what the company claims. Some even say that its flashes come every five seconds. This is on the lower side, but we’re not surprised. It would’ve been too good to be true for the money you’ll get this device for. A very useful feature of this device is its integrated ice cool function. This feature’s job is to cool your skin down after treatment. As anyone who has ever gone through hair removal will tell you, this feature can be a lifesaver. As it is, there are reports that this device can burn the skin if not used right. The integrated ice cool function should come in handy if you do mess up. It also boasts of a skin sensor designed to detect your skin tone. Further, it is a lightweight device which makes it very easy to manage around the body. 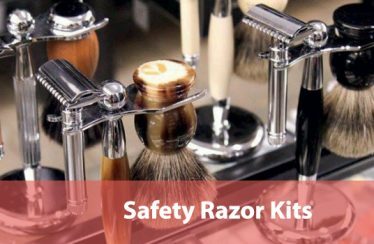 The company even provides protective glasses and a razor in the set. We should also mention that this is a dual voltage device. Combined with its low weight, this means that this is a fairly travel-friendly device. You should be able to take it to any of the continents with you if you have the wanderlust. It is backed by a 180-day money back guarantee and a one-year warranty too. This backing is helpful because it gives you a safety net to fall back on. 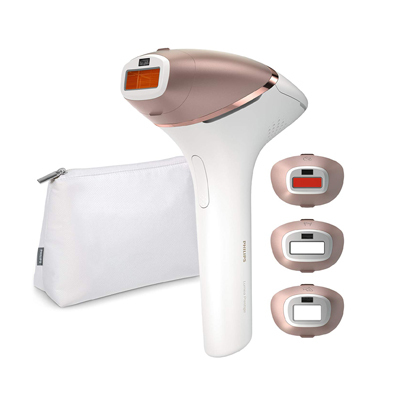 While you should make sure that your skin tone and hair color are conducive to home laser hair removal, you can’t be 100% certain until you use the device. If you find that it doesn’t help your case, you can use the money back guarantee. Who’s it for: If money is a concern, but you still want to try home laser hair removal, get this one. MLAY is a manufacturer from Hong Kong that has many beauty products in its catalog. Their IPL offering, MLAY Permanent Hair Removal Device, is an FDA cleared device that is well worth a shot if you’re looking at the budget segment. It boasts of an impressive flash capacity of 300,000 which is just shy of the highest capacity (350,000) we’ve seen in the industry till now. Further, it has a skin sensor designed to ensure that no flashes are wasted. It also has a very user-friendly gun-shape design which makes it very easy to maneuver around the body. On top of the gun-shape, there is a power button and a display screen that shows the status of the device. The manufacturer even provides a pair of protective glasses with this device along with a CD carrying instructions on how it should be used. It is also protected by a 60-day money back guarantee. Further, this is a dual voltage device which means that you can use it anywhere in the world. Traveling with it, however, could be a challenge because it is quite heavy. All of these benefits and qualities are available at a very competitive price too. The only real limitation of this device is that it won’t deliver the proper results to everyone. You’ll have to be very sure about your skin tone and hair color before you buy this product. Who’s it for: If you want to try a dependable home laser hair removal product at a competitive price from Asia, go for this one.